Doug McKeever climbed Glacier Peak in 7h54m in August 1998. Although not as well known or popular as Mt. 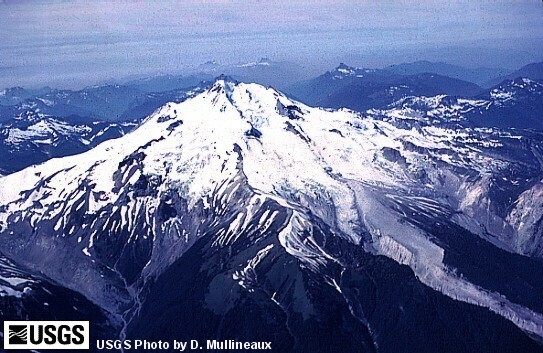 Adams, Rainier, Hood, or Baker, Glacier Peak is another beautiful volcano in the Washington Cascades. To this day this is one of my all-time favorite climbs, one that I repeat occasionally. 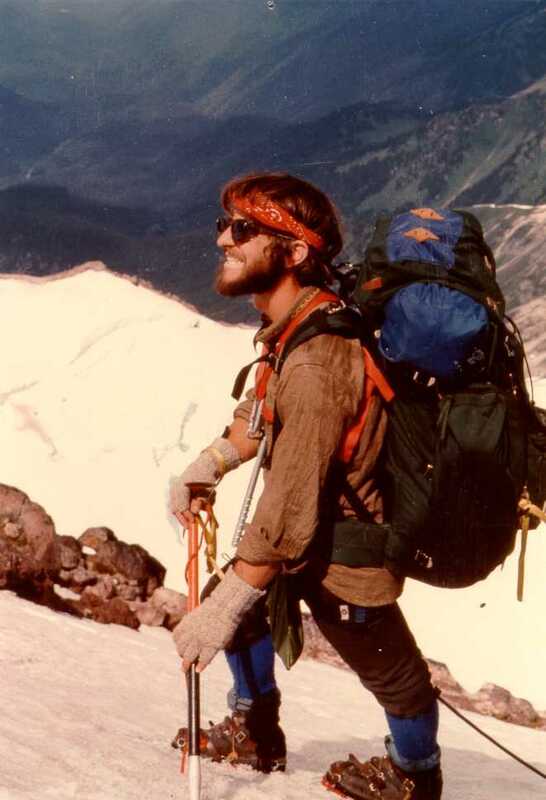 The picture [below] is of me on Frostbite Ridge way back in 1978, just a scruffy mountain man! On that trip we camped on the summit and came down via the Sitkum Glacier on the west side. 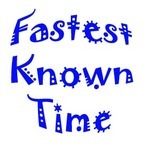 On a perfect August day in 1998, I did a solo, unsupported "speed" climb of Glacier Peak via the White Chuck River Trail and Sitkum Glacier route in 7 hours and 54 minutes, car to summit to car (about 24 miles r.t. and 8,800' climb). I wish I could have just one race sometime where everything clicks like it did that day! Yes, I did use crampons and an ice axe but as I was solo of course didn't use traditional roped travel on the Sitkum Glacier. However, this trip occurred just two days after doing the Sitkum Glacier route in fairly standard three day fashion, and the route conditions and weather were as perfect as could be, so I don't feel like I compromised safety unnecessarily. An interesting point is that Dan O'Brien, Olympic decathlon champion in 1996, had climbed to the summit just a few days earlier. Gerdine Ridge from the North Sauk trailhead now seems to be the most direct route; I'm not sure how much slower it is than the old Sitkum route. On August 16, 2017, I ran Glacier via the North Sauk route in 8h38 (or 8h40 according to Strava) round-trip (5h to the summit). The fastest previous time I found for this route is Todd Kilcup's 10h46 on August 18, 2016: www.strava.com/activities/681228920 . I had hoped to beat Doug McKeever's White Chuck time, but this route is substantially longer (32.5 miles and 10.5k gain according to my GPS). It can probably be done in under 8 hours by a faster runner, as it is a runner's course, but this is about the best I can do. For gear, I carried running-shoe crampons and no axe. The crampons felt necessary, as there was some bare ice on the col between Gerdine and Cool Glaciers. There was one thought-provoking crevasse near the top of the Cool Glacier, but things were otherwise pretty tame, and most of the snow/ice is low-angle enough that an axe isn't necessary.